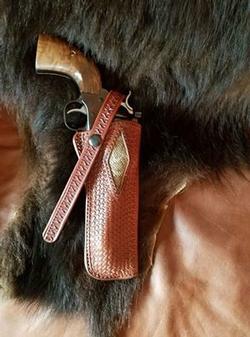 For a more traditional design we make the 120, styled after the George Lawrence Company’s timeless field holster. 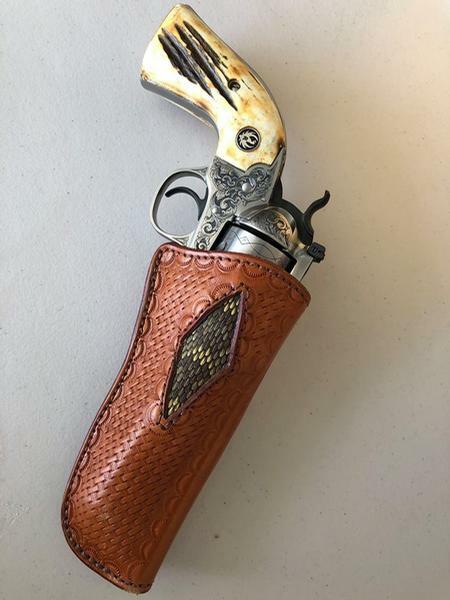 This holster was George Lawrence’s version of the Tom Threepersons Holster first offered by Sam Meyers of El Paso. 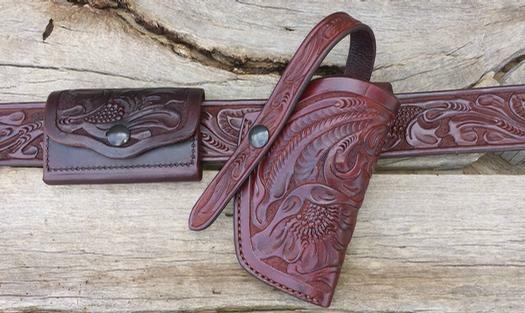 Elmer Keith contributed to the design, requesting a long tail on the retention strap for a more positive hold on the strap. This allows you to chop up and release the snap while the hand continues to grasp the gun. 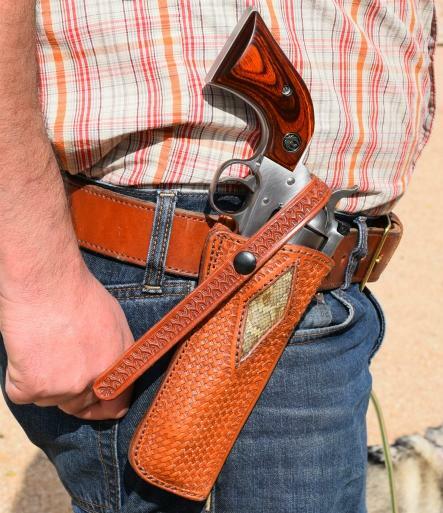 This is a great holster for a day at the range, and traditional enough to use at a Cowboy Action Shooting match.